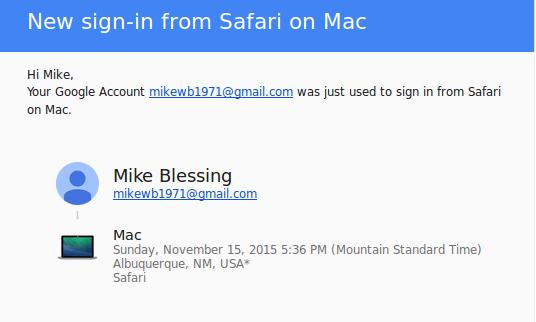 Here’s the funny thing — I logged into both accounts using Mozilla Firefox. 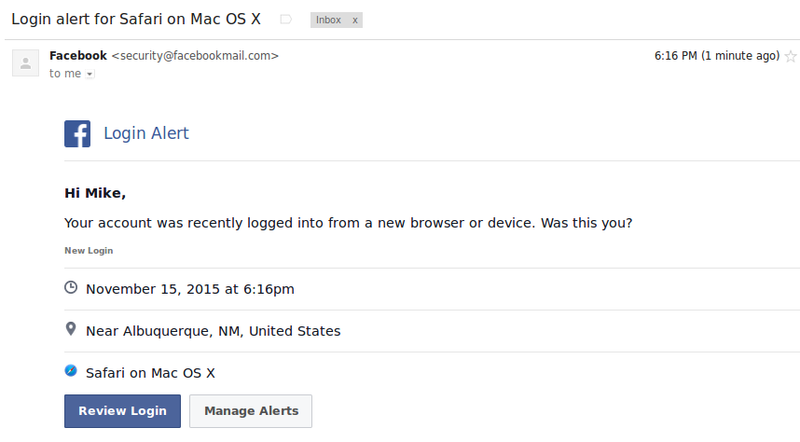 So why am I getting messages saying that I used Safari on Mac OS X? For the record, I haven’t touched anything Apple or Mac since April, 1994, when I had to use a Leatherman multi-tool to pull my floppy disk out of the drive slot when the “Eject” command (⌘-E) didn’t work after repeated tries. A few minutes of time, a few watts of electricity to spin that live DVD in the drive. A few mouse clicks here and there . . .
. . . and to paraphrase the MasterCard advertising copy, the upside — giving a virtual single-digit salute to two of the biggest privacy invaders on the planet — PRICELESS. Copyright © 2015 Mike Blessing. All rights reserved. This blog entry created with medit.